It doesn't come as a huge surprise that Donald Trump took up the majority of the airtime during the first presidential debate Monday night. Anyone watching could see that, as usual, he was talking more than he was listening. But Twitter did the math and calculated (using Twitter data) that Trump spoke for 62 percent of the night, while Hillary Clinton only spoke for 38 percent. Of course, this figure also represents a larger trend, one that is well-known between men and women. Numerous studies have backed up the existence of "mansplaining" and "man-interrupting; it's been proven that women are interrupted more than men, that men assert power by interrupting, that men dominate meetings, and that on Twitter, men are retweeted more often than women (which might help explain the figure above). The issue of women being professionally silenced — even at this highest level — is so well understood by women in politics that one story went viral just this month about the tactics women in Obama's White House used to make sure their voices were actually heard in meetings. How exactly those numbers were calculated so quickly using only Twitter data is a little confusing to me, because the figure seems based on how much their quotes (or names?) dominated the Twitter conversation under the hashtag #debates. That doesn't really seem like the same thing as actual speaking airtime, but I guess how much you're being quoted on Twitter is considered the same thing as actually speaking now? Maybe you can man/womansplain it to me. Despite the fact that it looks like Trump dominated with words, early analysis is saying that Clinton did a solid job Monday night, and could very well be determined the winner once the poll figures are in. 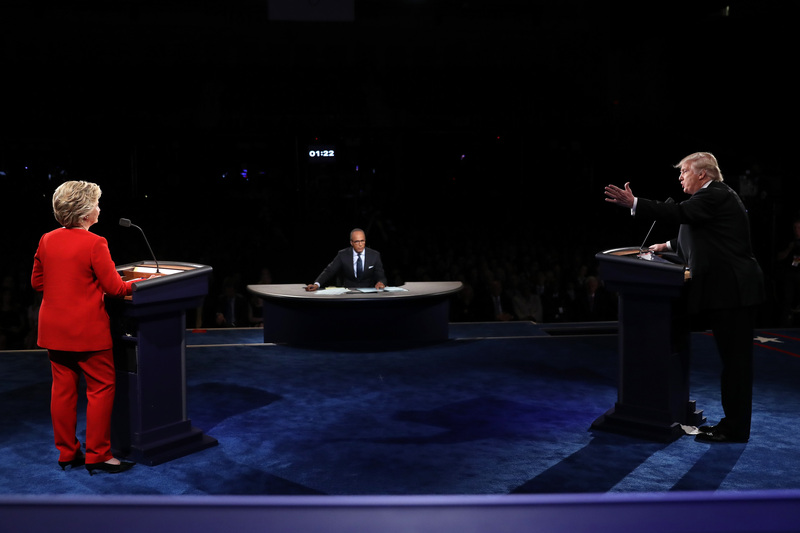 Twitter also noted later Tuesday morning in a statement that the debate was the most-tweeted of any debate yet.